For our neighbourhood, the biggest planning issues on the horizon stem from the ambitious plans for regeneration of the area to our immediate north-west. This is the area for which the Old Oak and Park Royal Development Corporation (OPDC) has been the planning authority since April 2015, taking over planning functions from LB Hammersmith & Fulham.. The Corporation is accountable ultimately to the Mayor of London. The ‘opportunity area’ involved is the site for the HS2/Queen Elizabeth line rail interchange, and for an intended 25,000 new homes. The StQW Forum has been involved since 2015 in working with local groups to help local people understand the implications of what is the UK’s largest regeneration area. For the last 3 years we have questioned the basis of the 24,000 housing target for Old Oak, set in the 2015 London Plan. This target was created as part of ‘vision’ for this part of London put together by Boris Johnson as the former Mayor of London. He badged the project as ‘the Canary Wharf of the West’. We have yet to find any local residents in and around the Old Oak area who support this vision, or who favour such extreme change to this part of London. Along with local organisations the Hammersmith Society and the Grand Union Alliance, the StQW Forum co-signed a letter to the OPDC Board prior to their 29th September 2018 meeting. This was the meeting which signed off the OPDC Draft Local Plan prior to submission to the Secretary of State. A copy of out letter can be found at this link Sept 28 2018 Planning Matters Addendum 2. While included on the agenda for the OPDC Board meeting, these reiterated concerns of local people were not mentioned in the Board’s discussion. The next chance we have to raise these issues will be at the Examination in Public of the OPDC Local Plan. This will take place in late 2018 or early 2019. During 2018, the Board of the OPDC has found it necessary to make significant changes to its plans. Responses to the consultation on its 19.1 Draft Local Plan, as submitted by HS2, Transport for London, and major landowners identified insuperable obstacles to early development of ‘Old Oak South’ (the area around the planned HS2/Queen Elizabeth Line interchange). As a result, any plans and policies for this part of the OPDC area have been removed from the version of the Local Plan as submitted to the Secretary of State in October 2018. The focus for early development is now on ‘Old Oak North’, the area made up of the Cargiant/London and Regional Properties landholding along with Scrubs Lane. This is the area for which a consortium commissioned by OPDC (and led by AECOM) has been carrying out detailed masterplanning. This work has included costing of major infrastructure proposals and testing of transport routes and development capacity. The public were originally told that information on this masterplanning exercise would be made available in late 2017. No such information has emerged, albeit that some of the results of the AECOM work have been fed into one of the ‘supporting studies’ for the Local Plan. This is a document entitled Old Oak North Development Framework Principles. As a ‘supporting study’ the document offers ‘planning guidance’ but does not form part of the draft statutory development plan. But as we have found with the previous ‘Development Principles’ document for Scrubs Lane, the OPDC Planning Committee will no doubt treat these ‘principles’ as ’emerging policy’ and will place reliance on them when deciding planning applications at Old Oak North. The section of this document dealing with development capacity (page 47) explains that the masterplan work identifies a total development capacity of 7,300 news homes and 73,000 sqm (Net Internal Area) of economic floorspace. It goes on to say The development capacity of Old Oak North will result in the delivery of a range high densities across this place. The average density will be 600 units per hectare. This will vary across the place in response to public transport access, sensitive locations and site specific circumstances. These densities are of a scale that have only recently been delivered in London and will contribute to the form of a new London typology. The reference to densities of a scale only recently delivered in London we believe to relate to the Isle of Dogs and parts of the Vauxhall/Nine Elms area. The St George Wharf Tower in Vauxhall is one of the tallest residential buildings in London today (at 50 storeys and 181 metres height). The Landmark Pinnacle residential tower at Canary Wharf (under construction) will be 75 storeys. 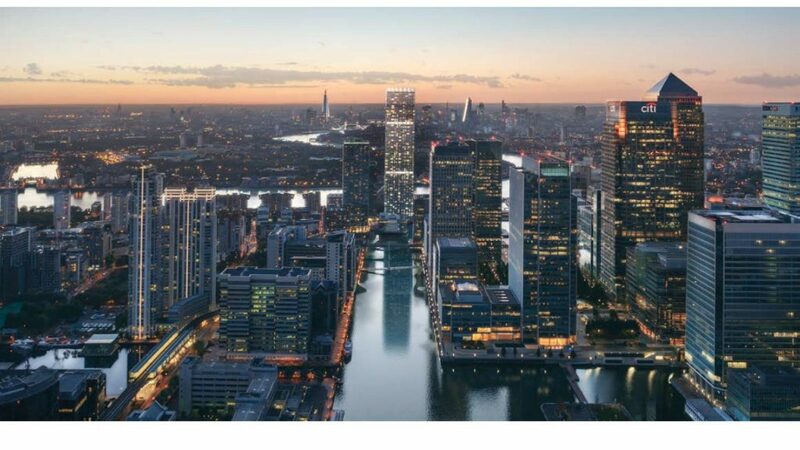 Six of the tallest residential buildings in Western Europe with planning permission are due to appear in the Isle of Dogs, Blackwall and South Poplar Opportunity Area (a Mayoral OA, as is the OPDC area). Is this the ‘new London typology’ of built forms now due to arrive at Old Oak North? Is this what west Londoners have asked for, in consultation responses on the OPDC Local Plan? The proposals for ‘Old Oak Park‘ as consulted on by Cargiant/London & regional Properties in 2015 and 2016, did not involve buildings of this height. In several meetings with London and Regional Properties and their design team, we were told that there might be a few towers of around 40 storeys and the remainder of the housing at lower heights. The residential towers granted permission to date by OPDC in Scrubs lane are in the 20-25 storey range. The Imperial College tower in Wood Lane, at 35 storeys, is the one and only very tall building in this part of London to date. The final draft of the OPDC Local Plan provides very little information on building heights. The whole plan is premised on ‘transit oriented high density living’ in order to achieve a 25,000 housing target set (with very little analysis) back in 2015. But anyone reading through all the plan documentation will find nothing that provides an honest assessment of likely building heights. OPDC draft policies state simply that ‘tall buildings’ will be ‘appropriate’ at certain locations. Even the specific separate Tall Buildings Statement says Identifying general heights of tall buildings is not considered to be appropriate at this time. Given that the Draft Local Plan has now been signed off by the OPDC Board and submitted to Government, it is not clear what other moment will be more ‘appropriate’ for some honesty and openness on this issue. Cargiant/London & Regional Properties have had their masterplanning work on hold for many months (their last public consultation was in July 2016). How they now view the prospects for development of their landholding remains to be seen. 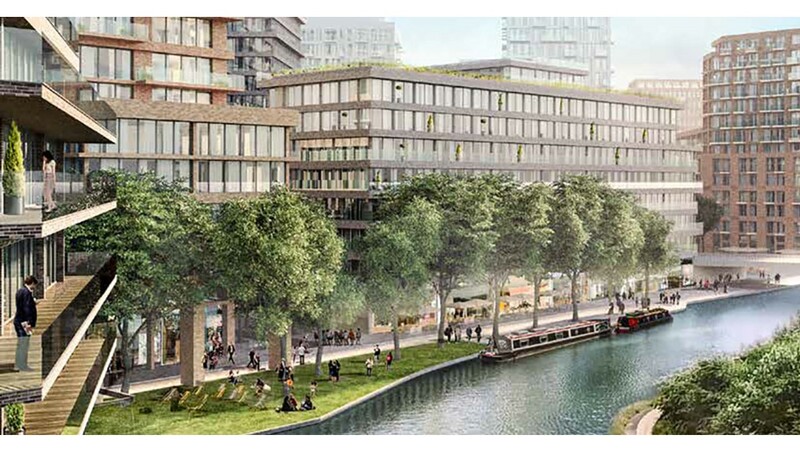 No construction work has started on the three major developments approved by OPDC in Scrubs Lane (North Kensington Gate, Mitre Yard, and 2 Scrubs Lane). The London property market is flat at best, and falling in parts of Hammersmith and in Kensington. Once the dates are known for the Examination in Public of the OPDC Local Plan, the StQW Forum will prepare our evidence to give to the Planning Inspector. OPDC decisions attract little London-wide public attention at present, and the EIP should provide a focus for wider interest and debate on the future of this part of London. This entry was posted in Uncategorized on October 17, 2018 by Henry Peterson. The area for which the Old Oak and Park Royal Development is the local planning authority lies to the north west of the StQW neighbourhood area. Hence we have taken a close interest in the plans of the OPDC. This is London’s largest regeneration area and the site of the planned HS2 and Queen Elizabeth Line rail interchange. The OPDC plans to build 25,000 new homes at Old Oak, at very high densities. This Forum residents believe this target to be too high, and that the outcome risks being a long-term planning failure – hugely damaging to this part of London. The OPDC has been preparing a Local Plan since the Corporation first took over planning responsibilities for parts of Brent, Ealing, and Hammersmith & Fulham Boroughs back in April 2015. A ‘Regulation 18’ and ‘Regulation 19’ version of the Local Plan have already been consulted on. Major changes were sought during these consultations. HS2, the Mayor and GLA, and Transport for London pointed out that parts of the Draft Local Plan, relating to sites at and around the planned HS2 station, were not realistic. Major depots and other infrastructure on these sites cannot be relocated or built over, within the 2018-38 plan period. The topography of the land also constrains development. As a result the OPDC is consulting on a third Draft Plan. The main changes affect the area termed ‘Old Oak South’ but there have also been significant other changes on the proposed street network and transport routes. One element that has not changed is the 25,000 housing target, which dates from a set of revisions to the London Plan adopted in 2015. Very little justification for this target was provided when first added to the London Plan. Despite this, it has been treated ever since as an unalterable parameter in subsequent Draft Local Plans. Subsequent modelling of development capacity across the OPDC area has shown that this target can be met only be building homes at extreme high densities. The latest OPDC Draft Local Plan acknowledges an average density of 450 units/hectare across the various development sites in the plan. This rises to 650 units per hectare in ‘Old Oak North’, where most of the land is owned by Cargiant/London & Regional Properties. As this latest version of the Local plan is beginning to acknowledge, these very high densities will require ‘a new London typology‘ in terms of built forms (i.e. intensive clusters of very tall towers and ‘shoulder blocks’. A study of the Old Oak proposals by a team from Cambridge and Berkeley University points out that current OPDC proposals are ‘more akin to residential densities in Shanghai or Hong Kong than the densest parts of London’. Quite way this part of London should be planned in this way is not explained, beyond bland statements that ‘London needs more housing’. There are no proposals for radical improvement to the local road network, already highly congested. Much faith is placed in the ‘connectivity’ available to new residents (post 2016) from the new station interchange. 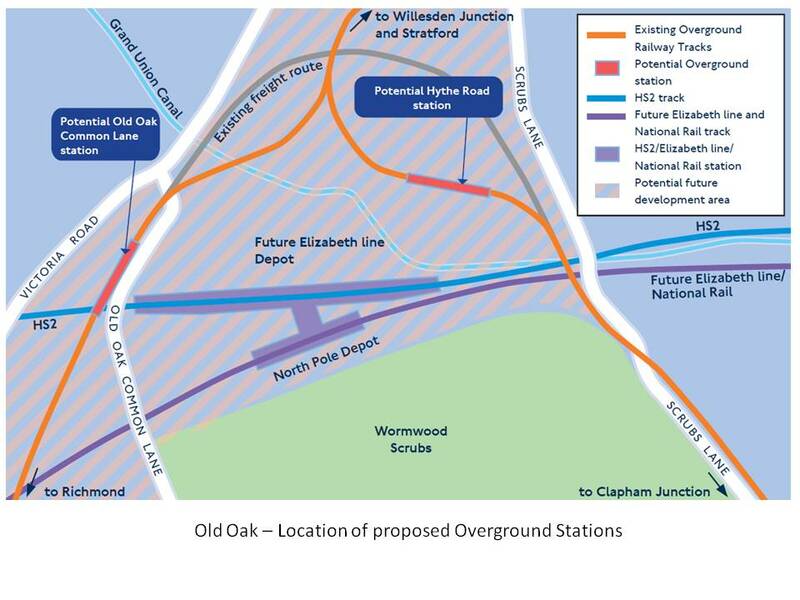 Two new Overground stations are also promised as ‘potential’ additions to the local transport system, but no funds have yet been secured to construct these (at £150-200m apiece). The OPDC consultation webpage, with links the Draft Plan and extensive Supporting Studies is at this link. The StQW Forum will be responding to the consultation. Our previous 2017 response to the Regulation 19 OPDC Local Plan can be seen here StQW response to OPDC Reg 19 Plan. This entry was posted in Uncategorized on June 16, 2018 by Henry Peterson. One of the original aims of setting up this neighbourhood forum was to revitalise Latimer Road. Ever since the construction of the Westway, this street has not flourished as a part of the Freston/Latimer Employment Zone, one of the Borough’s only three such zones. Public transport access to the area is poor, and the street lacks the cafes, coffee shops and eating places that office locations need (although the arrival of the bar at the Playground Theatre has helped). Low footfall on the street makes it less secure for residents. New policies in the StQW Neighbourhood provide greater flexibility on permissible planning uses in the four sections of the street designated for employment use (see map below). There is scope for Units-14 to redevelop with housing above the employment floorspace at ground and mezzanine level. The long delays on construction of the proposed pedestrian/cycle underpass between the southern end of Latimer Road and the Imperial campus in Wood Lane has not helped matters. We are promised that Imperial College remains committed to this project, to be delivered by the third quarter of 2019. Now in summer 2018, the Council has expressed interest in some new planning initiatives in Latimer Road, working with the StQW Forum. Westway Trust is also carrying out a major review of its property portfolio, which includes the land at 310 Latimer Road (site of the proposed subway) as well as those parts of its estate at the Westway Sports Centre. Thoughts and ideas from building owners in Latimer Road would be welcome. We will convene a meeting of residents and businesses in the street in the the next couple of months, to discuss emerging ideas from the Council and the Forum. Let us know at info@stqw,org if you have any immediate ideas, or would be interested in attending such a meeting. This entry was posted in Uncategorized on May 21, 2018 by Henry Peterson. A long-running legal challenge to the St Quintin and Woodlands Neighbourhood Plan was dismissed by Mr Justice Dove, in the High Court on 12th January 2018. Owners of a backland open space in the neighbourhood area had sought judicial review of the decision of Kensington and Chelsea Council to progress the draft neighbourhood plan to its referendum. The referendum was held in February 2016, and the plan was supported by 92% of those voting, with a 23% turnout. The Council has since been applying the policies in the plan. The Legard family of North Yorkshire, as owners of one of three sites designated in the plan as Local Green Space, joined with developers Metropolis Property Ltd mounting the legal challenge. A planning application to build 21 townhouses on the land had been previously been deemed premature by the Council, pending publication of the neighbourhood plan. The local authority defended its decisions, with the neighbourhood forum involved as an interested party. After 5 days of hearings in the High Court, all three grounds of the claim were dismissed. Previous posts give more background to this legal action. Our view is that the landowners at Nursery Lane (the Legard family) could have avoided the whole scenario has they responded to the initial letters which we sent to them at the end of 2013, asking to discuss the future of this former nursery garden site. Instead they chose to partner with Metropolis Property Ltd and to work up detailed proposals for a development of 20 townhouses, without so much as a single conversation with the StQW Forum. Subsequent decisions by both parties to ignore the recommendation of the independent examiner of the StQW Draft Plan, and the referendum result on the plan, meant that substantial legal costs were incurred – on all sides. The Council bore the brunt of costs of defending the action, and it is not yet clear whether more than a small element of their expenditure will be met by the claimants. The Forum is very grateful to those members and local residents who contributed to fund which allowed us to retain Stephanie Hall from leading planning chambers Francis Taylor Buildings, to represent us at the High Court. The case ran for five days rather than the expected two, and Stephanie kept her fees to the modest level which we could afford, working as a Direct Access Barrister. This saves significant costs on use of a solicitor. The Kensington Society also made two match funding contributions to our legal costs, at important moments. The judgment is very detailed and cane be downloaded here https://t.co/5aAaft9oEQ. We hope that it will give encouragement to other neighbourhood forums and parish councils preparing neighbouring plans, who find their proposals challenged by landowners or developers. The legal case took an unusual turn, with the claimants arguing that the level and content of correspondence between the StQW forum, the council, and the independent examiner rendered the process ‘apparently biased’ and unfair. The judgment analysed in detail the factual background to these allegations, and dismissed the three grounds of the claim. The judge concluded that the forum had been ‘persistent’ on many issues, including some disagreements with the Council’s planning officers. We did indeed have to send many letters and emails to the Council, and previous posts on this website record why this became necessary. As all those working on neighbourhood plans will know, it takes persistence to see these plans through to the finishing line. This entry was posted in Uncategorized on January 14, 2018 by Henry Peterson.